Do you struggle to stick to a meal plan each week? Do you even have one? If not then I urge you to have a go! Since I have started to properly meal plan our meals, and plan ahead for what we are going to eat all week, I have saved so much money and not wasted as much food. I only buy what food I need for each meal, and I have learnt how much we get through each week. I also don’t have that mad panic about what is for dinner each day! A few weeks back we took a trip to Aldi for the first time, I was taking part in a campaign to see if I could feed my family on £2 each per day. I knew that Aldi would be cheaper for us to shop at, so gave it a go. Since then we have done pretty much all of our weekly shops there. We have saved so much money, and I have been completely surprised by the quality and taste. I was a bit of a ‘brand snob’ and thought that the Aldi food wouldn’t task very nice. However I have been proved completely wrong. 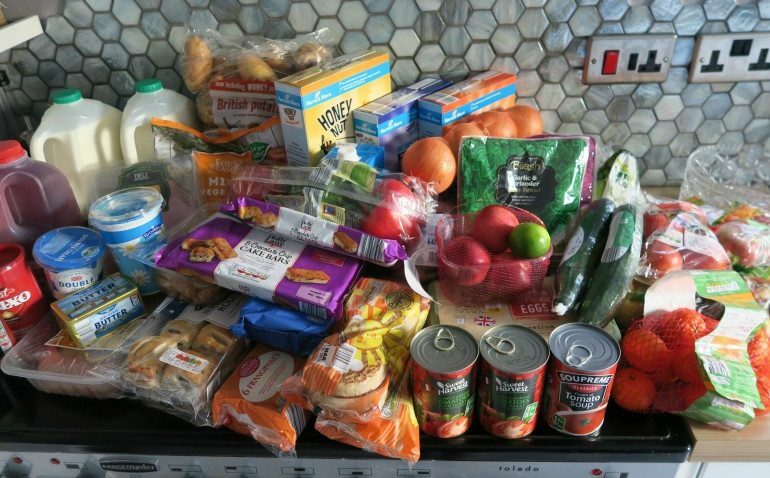 Each week I am going to put together my weekly shop to show you how much it all cost, and what we are eating each week. Hopefully it will give you some ideas for meals, and help you save some extra pennies too. Some weeks I am sure we will be more adventurous than others, and some weeks/days it will be super quick ideas too! Hubby is the cook in our house, and we are going to start featuring some more recipes on my blog, which I will link to in the meal plans for you. I hope you enjoy this series on my blog! Week 2 – Aldi £54.45 including snacks to go in lunchboxes, but missing 2 meals due to the end of the month and we will buy more on pay day! It makes you stick to it, and get it done for the next week! That’s a really good price! Aldi do some great things! 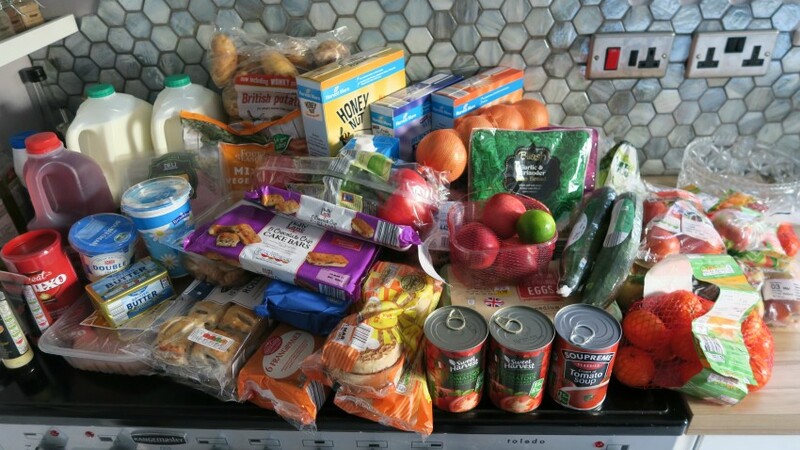 I am so surprised by Aldi, did a normal supermarket shop this week…ahhhh!! Thanks! They were all quite yummy! I love that you can add whatever you want to the pizza! Ive been shopping at Lidl lately and also saving a small fortune! Thanks for some meal inspiration def needed for next week.. back to school! School days always call for something not time comsumming! It is so much better for price, I didn’t believe it until I tried it!